Oddworld: New 'n' Tasty PS Vita First Look! 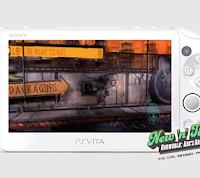 Oddworld Inhabitants developers of Oddworld: New 'n' Tasty have tweeted a gif of some PS Vita gameplay. The game is set to arrive sometime this year for PS Vita and features the same awesome side scrolling action as the original. Let us know what you think of Oddworld in the comments below!